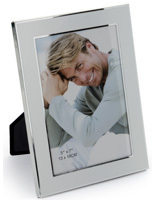 Black Wood Photo Frames | Picture Enclosures Sized 5" x 7"
More details about this product can be found under the Group Main SKU, HCQDBK1. Details, description and pricing are located there. 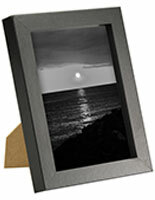 These black wood photo frames can be tabletop or wall mounted. 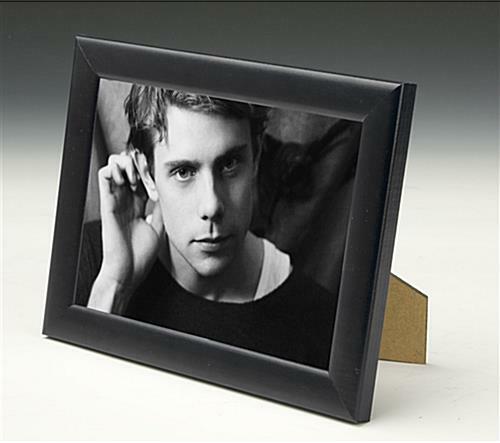 The gallery enclosures have a protective lens to keep images safe from dust, sunlight, and finger smudges. 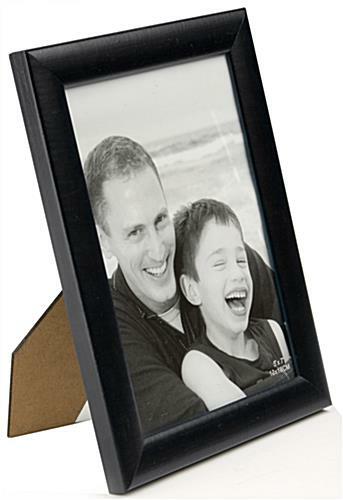 These wood photo frames that are custom picture holders are simple and elegant with a black finish. 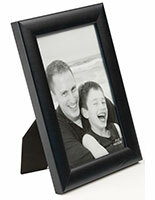 Make a collage with several or more of these framing enclosures. 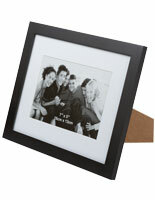 These wood photo frames that are picture accessories can be custum arranged on a wall or in a countertop grouping. 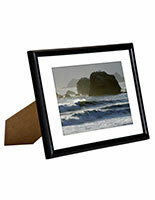 This picture framing when purchased in bulk is incredibly affordable! 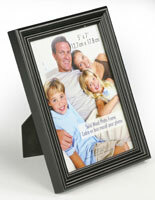 Create a collage in a store, or at home, using these beautiful black frames! 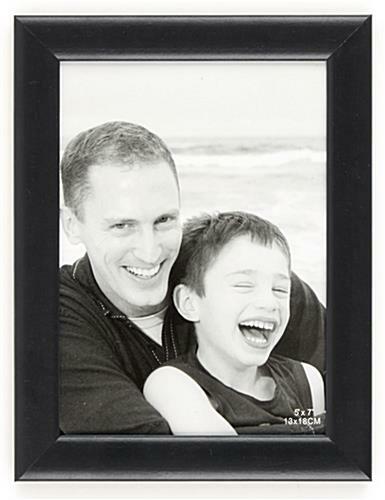 32.0" x 8.3" x 0.5"
I was glad I bought 8 more frames than I actually needed since all of the extra ones had scratches or weren’t finished properly. These are cheap for a reason and I would not recommend them. Spend a little more and get a good product.